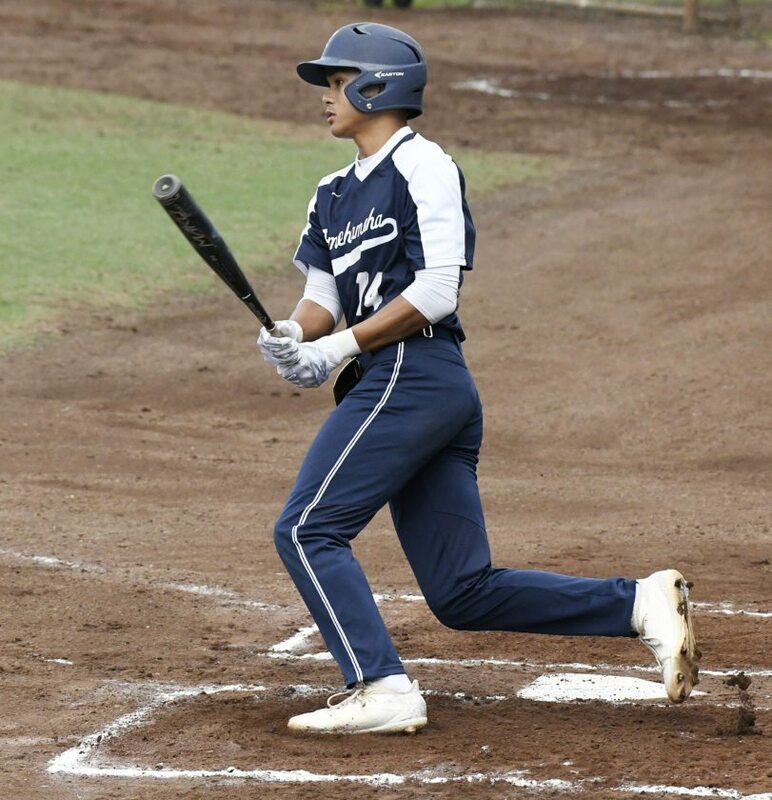 The Maui News – Kaipo Haole outdueled Micah Kele and Nainoa Keahi hit a go-ahead RBI single, and the Baldwin High School baseball team remained undefeated in Maui Interscholastic League play with a 2-1 victory over Kamehameha Maui on Wednesday night at Maehara Stadium in Wailuku. The Bears (8-0), ranked No. 18 in the country by USA Today, fell behind early when the Warriors’ Nathan Facuri knocked in a run in the top of the first inning. In the bottom of the third, the Bears tied the game with a run scored on a balk before Keahi delivered what would be the game-winning RBI. Haole allowed one run on three hits, a walk and a hit batter while striking out five in the complete game. Kele also went the distance for Kamehameha (6-2), giving up two runs on four hits and three walks while striking out three. At Maehara, the Lunas scored a run in the seventh inning to earn their first win of the season. James Smythe and Ekolu Mathias each went 2-for-3 at the plate for Lahainaluna (1-9). Kainalu Kaililaau tripled for the Lunas. Kamahao Ching went 2-for-4 for the Sabers (4-4). Micah Kele and Ross Panlasigui. Kaipo Haole and Cade Kalehuawehe. W–Haole. L–Kele. Ben Zeigler, Eke Storer (7) and Kainalu Kaililaau. Mikito Barkman and Haouli Caliva. W–Zeigler. L–Barkman. Sv–Storer. 2B–Maui High: Christian Lee. 3B–Lahainaluna: Kaililaau. Leading hitters–Lahainaluna: James Smythe 2-3, RBI; Ekolu Mathias 2-3, 2 runs. Maui High: Kamahao Ching 2-4. 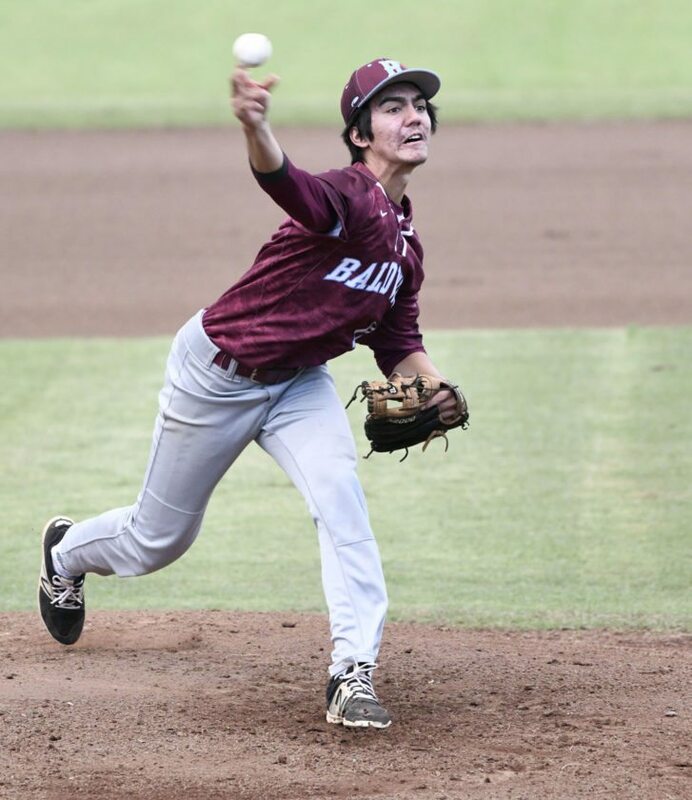 Baldwin vs. Kamehameha Maui at Maehara Stadium, 3:30 p.m.
Maui High vs. Lahainaluna at Maehara Stadium, 5:30 p.m.
Lahainaluna vs. Maui High at Maehara Stadium, 3:30 p.m.
Kamehameha Maui vs. Baldwin, 5:30 p.m.